Make sure you have help selecting the most popular Mexican funeral songs. This may seem like an obvious thing to say, but such an important occasion requires extra care to be made more dignifying for the recently departed. Mariachis En Houston are here to help guide you through this process so that you can focus on your loved ones. We help you by showing you which ones are the best mariachi songs for a funeral. Take some time to do some funeral pre planning. this is when you should take a few things into consideration. Is there anything you think the deceased would appreciate? Perhaps you have a funeral poem you'd like to have read. No matter what it is, you don't need a funeral planning guide to feel that it's important to you and your family. Take everything into consideration. Is this going to be a catholic funeral? What are the funeral costs you can expect to take care of? No matter that the budget is, Mariachis En Houston has the right services for your service. We have plenty of mariachi music for funerals that not only gives dignity to the situation but also keeps everyone's head high. This is a celebration of life, after all! ...And what about Mariachi masses? There is plenty of popular mariachi music that is perfect for masses and other church events! Nothing sets the tone for a traditional church party like hiring a mariachi band to keep things interesting for you! The best way to celebrate peace and life is to dance, sing and enjoy the company of friends! And that's where Mariachi Villa comes in! Not only are we one of the top mariachi bands for hire in the Houston Texas area, we also have amazing reviews! Just check our Yelp, Google Plus, Facebook and Foursquare pages if you'd like to know more. Their mariachi instruments and lively performances will make everyone glad they came out to play this Sunday! 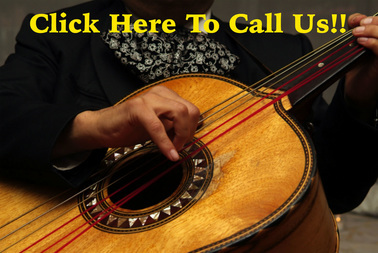 If you're unsure about the cost of a mariachi band, just call us! There is plenty of mariachi music that's associated with going to church. Possibly the most famous of all is the "marcha nupcial" or mariachi wedding entrance song. Another great wedding moment is the first wedding dance song with mariachis! There's no other way to start off the first day of your new life together that's more interesting that with a mariachi band. But don't let us fool you- there are plenty more mariachi mass songs than that. And with places like St. Joseph church in Baytown, the possibilities are endless! Want to learn more? Call 832-681-0414 for your free quote now!